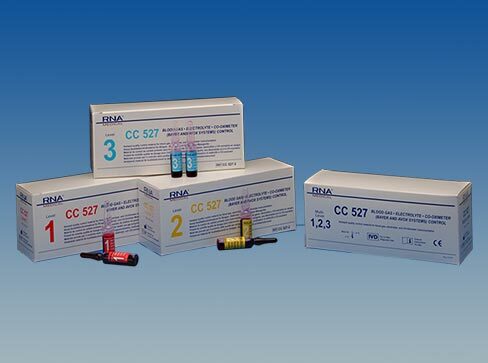 CC 527 is an assayed quality control material used for monitoring the performance of blood gas, electrolyte, and CO-Oximeter instrumentation. It is for specific use on Accriva AVOXimeter 1000E and 4000 CO-Oximeters, and the LifeHealth™ IRMA TRUpoint®. CC 527 is available in three (3) levels for monitoring analyzer performance at varying points within the clinical range.